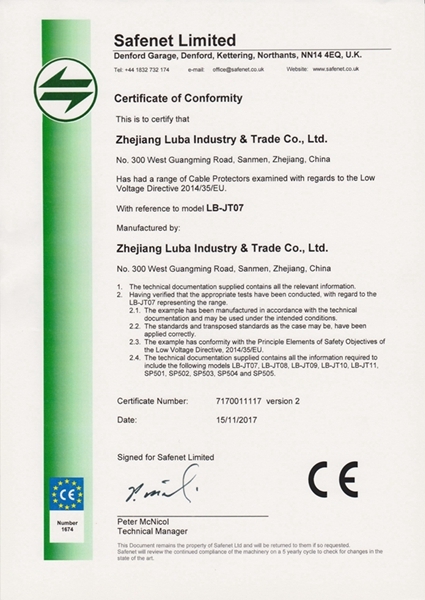 Company Overview - Zhejiang Luba Industry & Trade Co., Ltd.
4YRSZhejiang Luba Industry & Trade Co., Ltd.
Zhejiang Luba Industry & Trade Co., Ltd. (Former Zhejiang Sanmen Dongxie Railway Cushion Manufactor Co,. Ltd) was established in 2001. Our company is located in Sanmen County, Zhejiang Province, China. 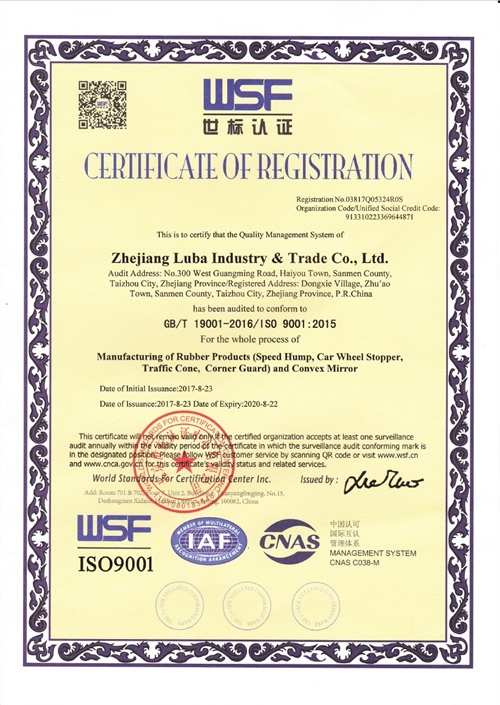 We specialize in production and development of rubber and plastic products in the field of traffic facilities.Our main products include rubber speed hump, car wheel stopper, convex mirror, traffic cone, corner guard, road barrier and all kinds of traffic safety and parking safety products. We base on the concept of "Profession,Honesty,Innovation". We have been making our every effort to improve our own brand's competition and provide excellent products for our consumers and build long-term and steady cooperation based on equality and of mutual benefit. We are longing to developing with our last or new consumers all.